A man carrying a handgun fled the Exeter Market with an unknown amount of cash. The Exeter, New Hampshire, Police Department is investigating an armed robbery at Exeter Market. They are asking for the public's help in identifying the suspect. Police received a report around 1:45 P.M. on Monday that a man with a handgun entered the store at 201 Front Street, and demanded money before fleeing on foot with an undisclosed amount of cash. The suspect is said to be wearing an orange ski mask, a black jacket, and tan pants. No customers were at the store at the time of the robbery and no one was injured. Police are working with surveillance images from the store to identify the suspect. 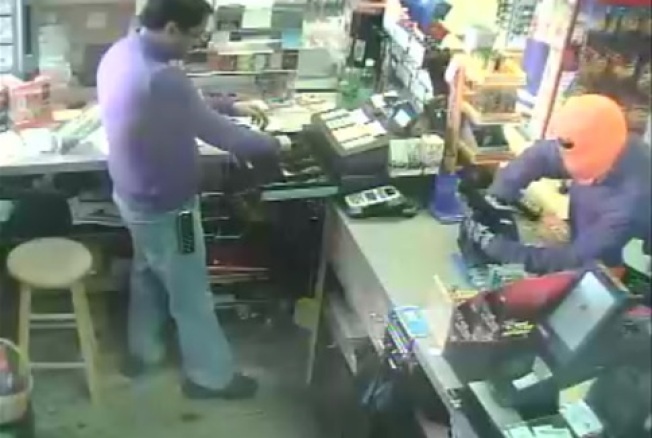 Anyone with information on the robbery is asked to call the Exeter Police at 603-772-1212.